This year we have grown into a committee which is a great way to mentor members while accomplishing more on our Education agenda. The Committee consists of Bonnie Fox – Treasure Valley BCH, Joseph Brinkman- Eagle Rock BCH, Cindy Walker- Salmon River BCH and Marybeth Conger- Squaw Butte BCH, so there is some great geographic representation. At our recent meeting in Nampa, ID we set forth the following Education areas of importance, in random order. First let’s talk about Volunteers hours. Keeping track of all our volunteer efforts is one of the most important things we can do in our efforts to keep our access to riding areas. So, we will be redistributing Volunteer Hour Reporting Guides to all chapters to increase awareness and both the number and type of hours reported. Plus we are bringing a FUN Volunteer Hours puzzle to the 2014 Convention, so please come and get your name in the hat to win a fabulous Education prize. Second, we will be updating The Education and Public Relations section of the Backcountry Horseman of Idaho Planning Guide. 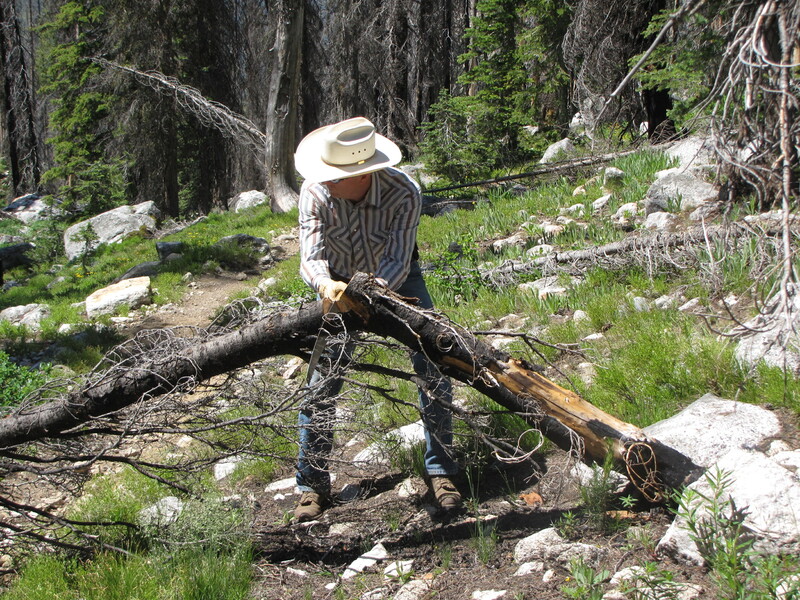 I know, this sounds a bit dry and perhaps boring, but updating this guide with education items accomplished and identifying new ones, helps the committee stay focused on the preamble set forth in the Backcountry Horseman of Idaho bylaws. Third we will be asking for chapter input to Identify Education needs and ask for mentors willing to help with education. A list of available mentors will then be made available to all chapters. Yes, we will be communicating with each chapter’s Education chair or the President if none is listed on the officer register. So, chapter President’s if you haven’t had time to get someone for the Education position, please do, and don’t forget to the State Secretary know too. Lastly one of our committee members recently completed a Nine Mile Leave No Trace Master Training session, so it is a perfect time to review the Leave No Trace information in the Backcountry Horseman Education manual found on our website. We want to make sure the BCHI.org website has the latest and greatest information, for your use when teaching, preparing, and conducting Educational & Leave No Trace clinics, reports, seminars, etc. or while you are actively attending or presenting at Public meetings relating to BCH activities’ or issues. All for now and hope to see you on the trail.